There is new hope that over 100,000 lung cancer patients could live longer. Three studies, that will likely change how doctors treat the disease, showed significant improvements in overall survival in patients given the newest cancer drugs. And a fourth study with a targeted drug gave patients more time without the recurrence of their cancer. The studies, which were presented at the World Conference on Lung Cancer in Toronto, expanded the benefits of immunotherapy in earlier stages of lung cancer and different forms of the disease. “These studies further support the ongoing immunotherapy and targeted therapy revolution,” Dr. Jacob Sands, of the Dana Farber Cancer Institute, told SurvivorNet. There were three studies with immunotherapy drugs and one study with a targeted drug. The research was also simultaneously published in the New England Journal of Medicine. 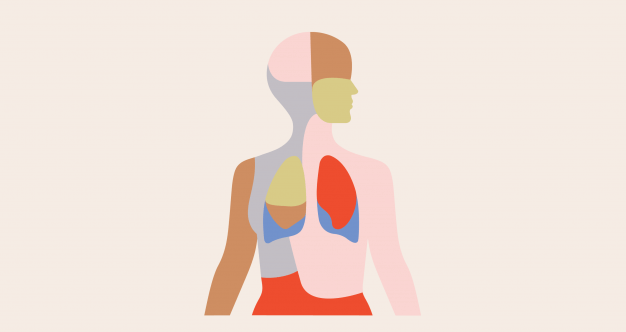 In a study known as PACIFIC, the immunotherapy drug Imfinzi was given to patients with stage 3 lung cancer. In stage 3 the cancer has spread to the lymph nodes or the other lung, but not to other organs in the body. About one quarter of cancer patients have stage 3, that translates to about 30,000-50,000 people. Patients given Imfinzi plus chemotherapy were alive or free of cancer spreading to another organ for one year longer than patients given placebo. 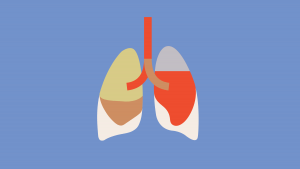 While the PACIFIC trial showed a survival benefit in earlier stage cancer, the second immunotherapy study involved patients with a different type of lung cancer. The study, called KEYNOTE, tested the immunotherapy drug Keytruda on patients with a type of lung cancer called squamous cell, which is found in the central part of the lung that is linked to smoking. Squamous makes up 25 to 30% of lung cancers, or about 60,000 people. Patients given Keytruda plus chemotherapy had over a 30% improvement in survival. Sands said the KEYNOTE study “provided the evidence” for the treatment of squamous cell lung cancer with this drug combination. The fourth study involved a targeted drug, that is in a class of drugs known as ALK inhibitors that have had so much success that there are now a number of second generation drugs which are producing even better results than the first generation drug. In this study patients given Alunbrig, a second generation ALK inhibitor had significantly longer time free-of-disease than patients given Xalkori, the first generation drug. Study author David Ross Camidge, Director of Thoracic Oncology at the University of Colorado, told SurvivorNet the 51% reduction in the risk of disease progression or death puts Alunbrig “in the same class as a potential first line option” over the first generation drug.